The MacBook is a brand of personal computers manufactured by Apple. The first Apple Macbook was available in black or white colors and was released on June 28, 2006. Ever since 2006, Apple has been releasing new ones year by year. As they improve, the price rises every year. The newest MacBook is the MacBook Pro. The new has a lot of new features and they keep getting better and better. 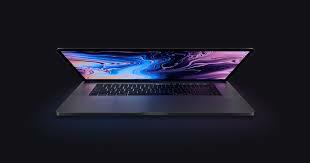 Some of the new things that the MacBook has is the new eighth-generation Intel 6‑core and quad-core processor. Another thing that the MacBook has is up to 32GB of memory for running multiple Pro App. Pro App helps the computer run fast, the more data reserved for Pro App the more it will improve the overall MacBook. The MacBook also has a Retina display with true tone technology. It includes a touch bar for working more productively while creating easier access to anything on the web. There is two new models of the new MacBook pro, the first model is a 13 inch display and the second model is a 15 inch display. This is the fastest Apple MacBook on the market today with up to 3.2GB/s and up to 4.8GHz turbo boost. That is really fast for a laptop. Senior Derek Walker said, “those MackBooks are expensive, but are worth it because they perform amazing.” Another thing the new MacBook Pro has is the graphics of the display and its amazing quality. The display isn’t a 4K display, but it is up there with a 1080p quality. The 13 inch display cost $1,299 and for the 15 inch display is will be $2,399. Those are the cheapest for each display. These MacBooks do the job and are great for performance.